Ahhh, peace at last. That feeling of instant chill comes over you the moment you step inside El Cafecito, the unofficial oasis of the Halsey L stop area ever since owner Lorena Moscoso opened its doors last summer at 892 Wyckoff Avenue in Bushwick. Now coming up on its first birthday, El Cafecito has unveiled a new menu with an abundance of culinary combinations. Healthy, tasty and tasteful, the menu packs something pleasing for everyone—kinda like brunch, only without the interminable wait times. Or, for now, the booze, though nothing seems impossible for Lorena and her staff of loyal lady baristas, who proudly dwell in possibility. Feeling your comfort zone, or something more adventurous? The à-la-carte menu options let you build whatever you happen to desire in a sandwich. 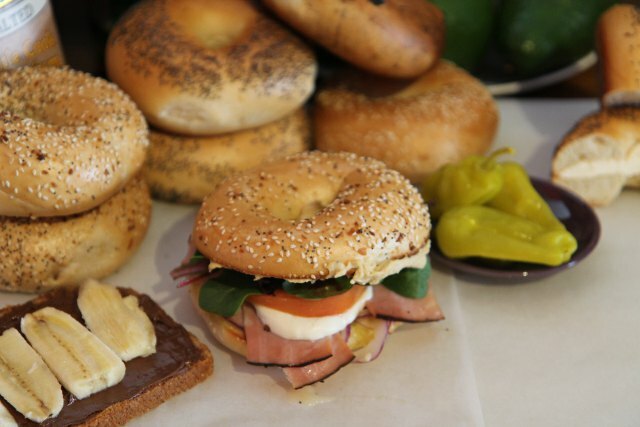 Try a savory combination like Black Forest Ham, mixed greens, onion, tomatoes, mozzarella and hummus on an everything bagel (above), the gals' personal favorite. Or, take a walk on the wild side. "One guy had a ham and cheese with onion, tomatoes, avocado, bananas and raisins on a cinnamon raisin bagel," says barista Vanessa. "Spread with Nutella!" 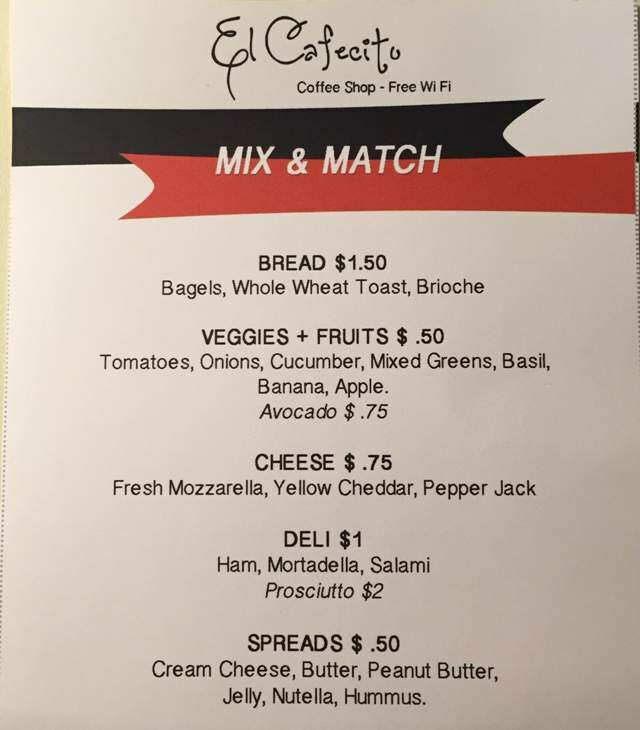 Bread options (assorted bagels, brioche buns, or whole wheat toast) start at $1.50, and each additional item or spread runs from $.50-$1.00. "In Ecuador I grew up drinking different fresh juices all the time, from fruit to blender," Lorena remembers. "We try to recreate that experience here." 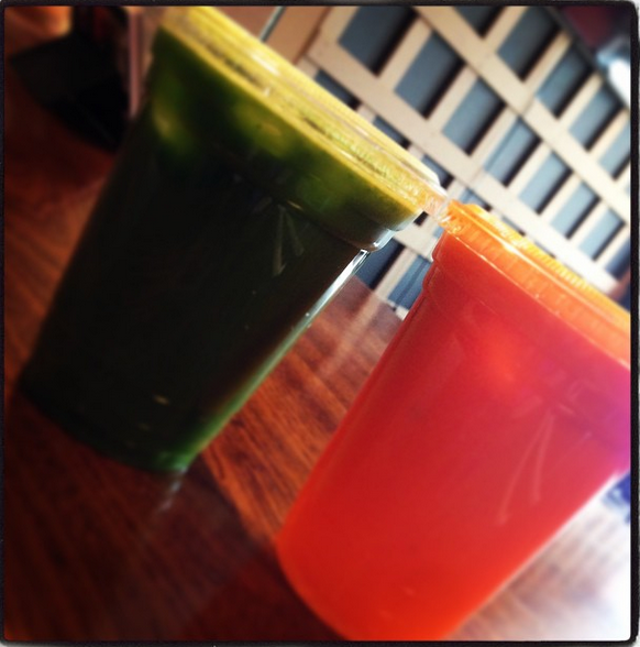 Offering an array of greens and berries, the gals can press you some fresh pineapple & orange juice (a crowd-pleaser) or else a more complex combo, like orange, strawberry, papaya and ginger. As is custom here, possibilities = endless. They also plan to offer smoothies as the weather warms up, with tropical fruits like guava, guanabana and passionfruit, plus healthy add-ons like chia seeds, wheatgrass powder and a selection of non-dairy milks. What else does Lorena, a professionally trained chocolatier, have up her sleeve? For those with a sweet tooth, plenty. 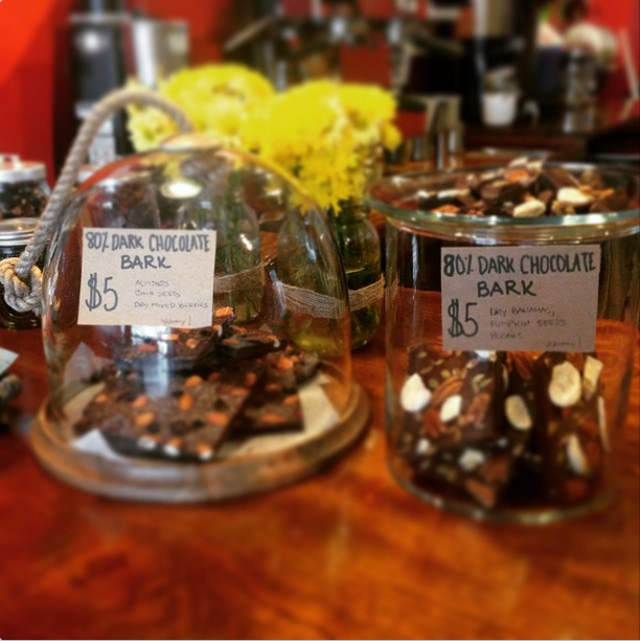 There's her made-on-premises chocolate bark, each batch infused with nuts, dried fruit and/or seeds, available now. There will also be fruit ice pops—reminiscent of Mexican paletas—for the spring. Nor is she running out of inspiration anytime soon. Plans for the fall include: cupcakes, bonbons and truffles. "My thing is chocolate and alcohol more than anything else," she confesses. "I love chocolate with cognac and whiskey." Booze at El Cafecito, someday? Maybe not so dim a possibility after all. 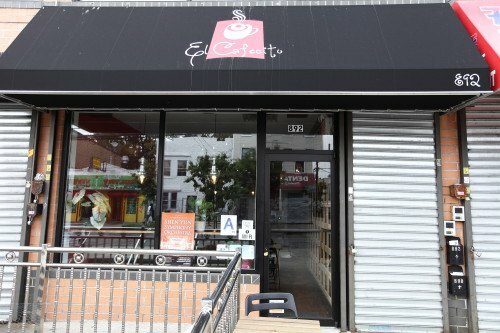 El Cafecito (892 Wyckoff Ave), with a perfect score on Yelp, is open 7AM-7PM on weekdays, 7AM-5PM Saturdays & Sundays.